Beaches within walking distance of the center of Woods Hole, MA. There is poetry here, which may explain why Hopper painted it and artists for centuries have trekked here to see this incredible beach. Crystal clear water of Vineyard Sound laps the soft sand, anchored by rocky outcroppings at either end. There are multi-million dollar estates looking down over and past it (like the view from this photo) and bath-houses from a by-gone era at one end (which is private so leave that section alone please). There is very little parking here, and you need a special sticker to use it, so this beach never really gets crowded. Above you looms the old-fashioned light house (now the primary residence of the Coast Guard's head guy, who ever that lucky fellow is at the time), and out over the water you gaze at the jeweled island of Martha's Vineyard, just three miles off shore. The huge ferries pass in the distance, taking day-trippers out to the island where they will fight the crowds for a postage stamp piece of South Beach. You dip your toes in the warm Gulf stream waters then stretch out on your towel and sigh...all, summertime. 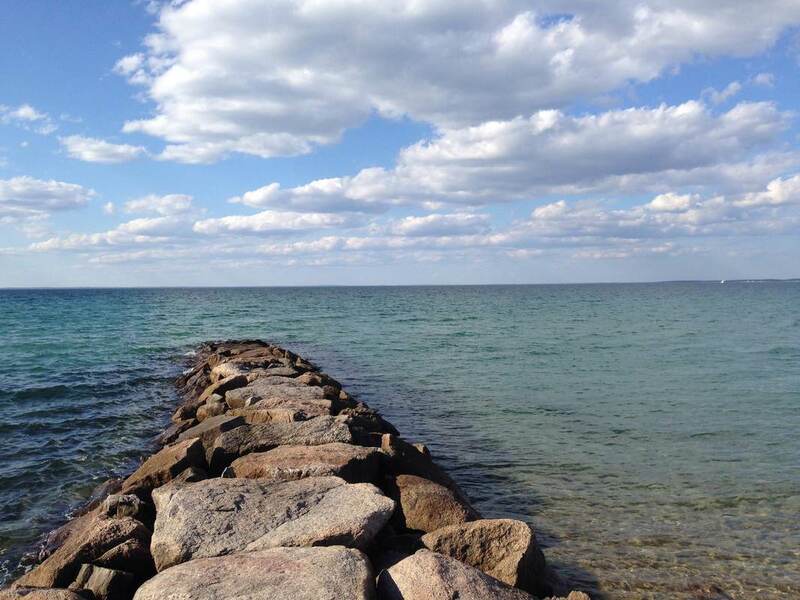 Just a few minutes walk from the drawbridge in the center of Woods Hole and facing Buzzards Bay is Stoney Beach, a popular destination for families. With exclusive Penzance Point just beyond, this sandy and shallow beach is wonderful for splashing about in the lea of the prevailing southwesterly breeze. Two large jetties define either end of the beach, and the water remains shallow a long way out providing plenty of room for all sorts of water play. There are lots of hermit crabs and other small sea life along the jetty and children delight in exploration of this area. There is a small parking area adjacent to the beach for those with resident stickers only keeping this nice spot relatively uncrowded. A life guard is on duty during mid day hours, there are port-a-potties and swimming lessons are offered for little kids in the summer here. Bring your sand toys as this is a great place to kick back and enjoy a hot Cape Cod day.